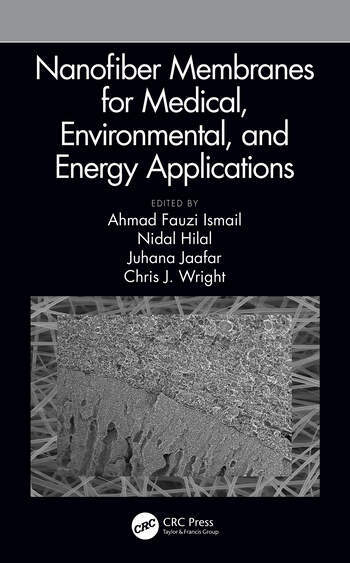 This book focuses on the nanofiber membrane’s fabrication, characterization, and performance for medical, environment and energy applications. 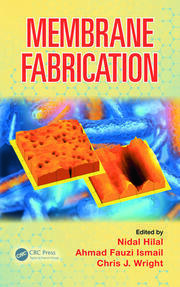 Topics include polymer, inorganic and composite-form nanofiber membrane materials. Researchers from varied disciplines and continents outline nanofiber membrane fabrication techniques and characterizations for proposed applications. 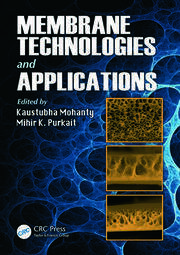 Promising nanofiber membranes for improving and enhancing technologies used in drug delivery, wound healing, tissue engineering, water and wastewater treatment and purification, gas separation and purification, air purification, and fuel cells are discussed along with the likely path forward for commercial usage. Biodegradable polymer based membrane for tissue engineering. Biomaterial nanofiber based membrane for drug delivery application. Carbon nanofiber membranes in biological processes. Biocompatible nanofiber membrane for artificial renal replacement system. Antibacterial polymer based nanofiber membrane for wound healing. Bio-composite nanofiber membrane for direct contact membrane distillation for wastewater treatment. Composite nanofiber membrane for water desalination. Electrospun nanofiber photocatalytic membranes for wastewater treatment. Nanofiber based membranes for air purifier. 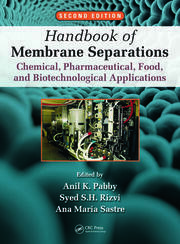 Nanofiber composite membrane for engineered osmosis process. Inorganic nanofibers for solar cell application. Electrically conductive polymer blended based nanofiber membrane. Polymer inorganic nanofiber membrane for direct methanol fuel cell application. Natural nanofiber electrolyte membranes. Composite nanofiber membrane for lithium ion batteries. Ahmad Fauzi Ismail and his research group member from AMTEC, UTM were known based on their contributions not only as academicians but also membrane technology scientist. Currently, he is record holder as the first Malaysian recipient for the ASEAN Young Scientist and Technologist Award in 2001. He received the Malaysian Young Scientist Award in 2000; the Grand Winner of the Malaysian Intellectual Property Award for Patent Category and he is the first Malaysian Scientist to won twice the National Innovation Award in Waste to Wealth and Product categories both in 2009 and 2011. In addition to these prestigious scientific awards in recognition to his outstanding outputs in research, development and innovation activities, he was also awarded Best of The Best Invention Award at the Malaysian Technology Expo (MTE) in 2008 and Best of The Best Invention Award in the 3rd IPTA R&D Expo in 2005. Recently, he was awarded Special Award of Polish Invention and Rationalizers at MTE 2011. In 2012, he won two special awards from the British Invention SHOW (BIS) i.e. International Invention of the Year Diamond Award and Saudi Arabia International Invention of The Year Special Award. His active participation in scientific research and development has also been exhibited by the recipient of research grant sponsored by government and non-government bodies. Until now, the total research grant secured is RM 45,443,000.00. Among the most recent project was Long term Research Grant Scheme (LRGS) and European Universal Grant with the budget allocation of RM6,000,000 and RM 1,336,180.00, respectively. Petronas Research has allocated RM8,009,440.00 whereas SIME Darby allocated RM1,012,600 for joint research programs with AMTEC. In 2012, he has been awarded the Best Research Project award for his Fundamental Research Grant Scheme (FRGS) project by the Ministry of Education. In 2013, Malaysia Toray Science Foundation awarded him a special award for his involvement and contribution in research activities and innovations. Pada tahun yang sama Ministry of Education unanimously awarded him the Innovative Action Plan for Human Capital Development Tertiary Level award. Since 2007 until now, he has successfully generated income of about RM3, 500,000 from his invention and innovation related to membrane technology. The Innovation and Product Commercialization Award has been awarded to Prof Fauzi in the Nation Academic Award Ceremony 2013 in recognition to his remarkable commercialization activities. In addition to that, he also granted two international patents with the patent number of US Patent 6,521,025 B1 and WO00/27512 whereas 14 national patents disclosure being filed. His capability in carrying quality research work of international standards has been further supported by the publication of more than 200 technical or scientific papers in well-established and high impact factor international refereed journals. His current H-index value is 53 with total citation number of 11697.